First stop: Monet’s Garden. 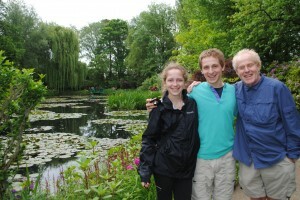 Me, Ross and my dad among the ANGELIC lily pads. 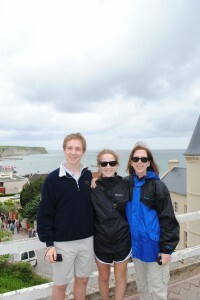 On June 6th, 2012 we visited Arromanches to COMMEMORATE the events that occurred on D-Day, ironically, June 6th, 1944. Me, my mom and brother in front of Gold Beach, one of the numerous beaches invaded by U.S. soldiers decades ago. 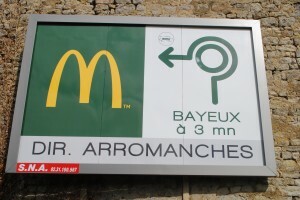 McDonald’s, the ESSENCE of America, chez France. 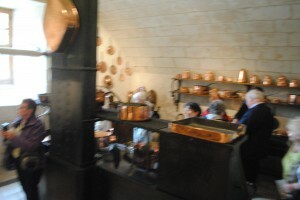 In the kitchen at Château de Chenonceau, baking bread was a QUOTIDIAN activity. 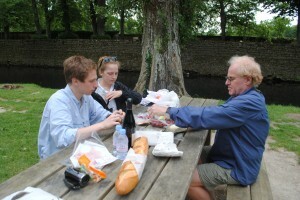 HONING your inner French self made easy with riverside picnic. 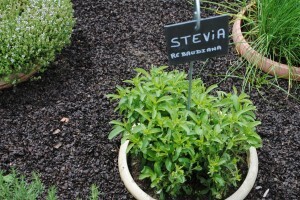 I LOATHE the artificial sweet taste of stevia leaves. 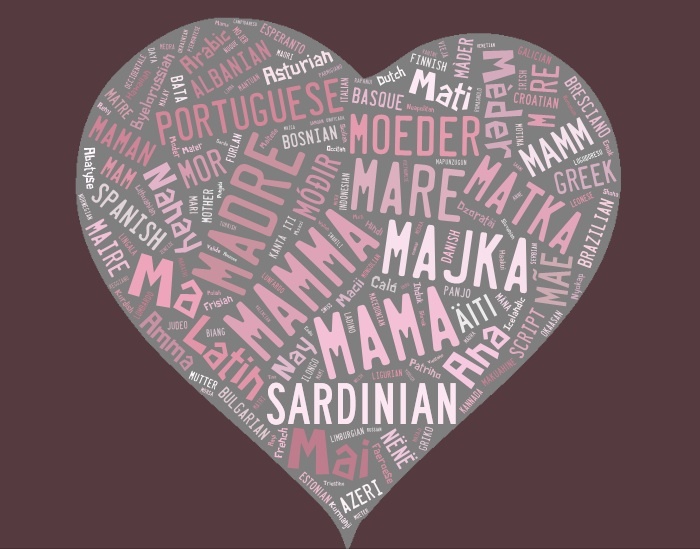 Guest Blog: What The Funk? 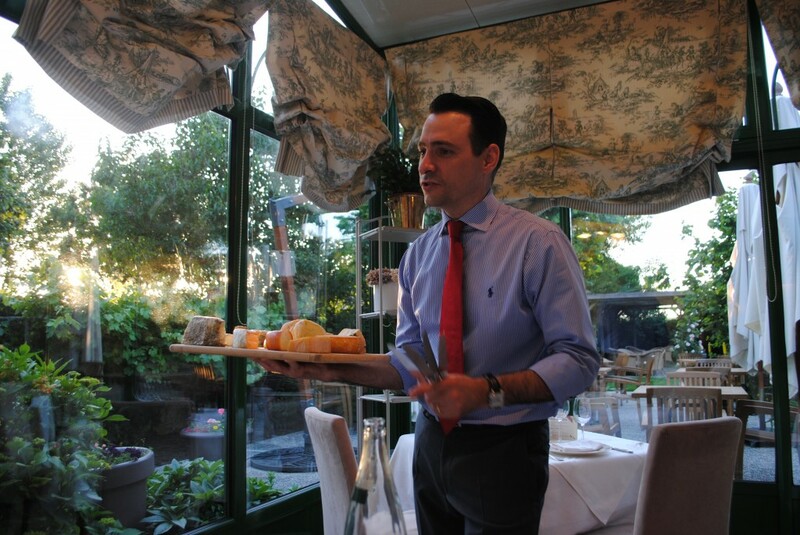 The garçon at the wonderful restaurant, Auberge De Launay, in Amboise, France, offered us a selection of cheeses from the region, which ranged from mild to funky. France is known for its cheese. For Americans — us ugly American, francophile wannabees — we like the idea of IMMERSING ourselves in foreign culture, so you can imagine my excitement when presented with a cheese tray last night, after a marathon meal in Amboise. 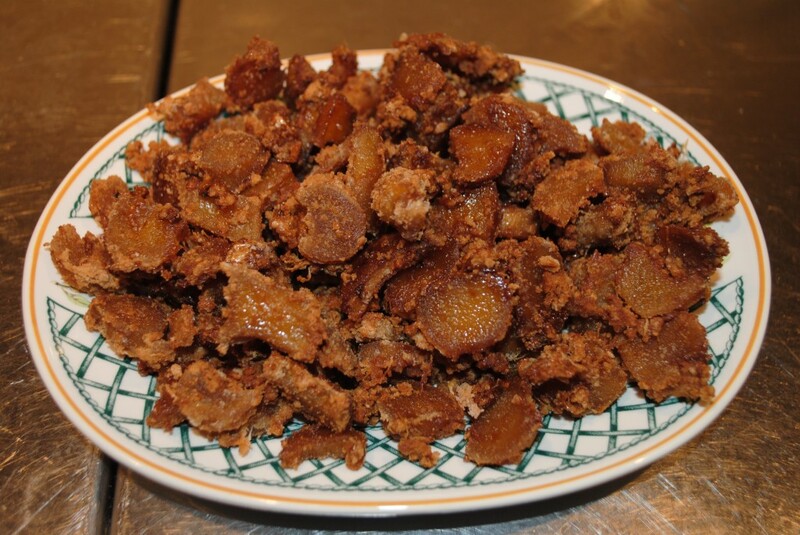 Following a dinner of GASTRONOMIC delights, including white asparagus and pig’s trotter, the garçon arrived with an attractive platter of cheese. 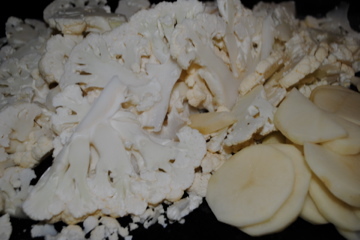 He explained our selection, the smell and taste of which ranged from funky to what the funk. 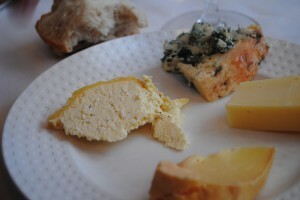 We opted for both the standard — brie, goat’s cheese — and the unusual — garlic and beer aged cheese. 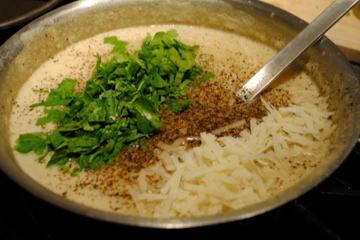 Beer cheese proved to be the funkiest thing I have ever tasted. Of particular note, the beer aged cheese had subtle notes of ammonia, perfumed with the aftertaste of something INEXPLICABLY rotten. In an attempt towards cultural PREENING and self AGGRANDIZEMENT, I convinced myself that my palate could stomach, and even enjoy, such obviously disgusting food. Only after I had brushed my teeth that night and removed the smell RESIDING under my fingernails did I have a chance to determine that I’m happy with RUN-OF-THE-MILL, non-experimental, at times Wal-Mart produced and processed, cheese. 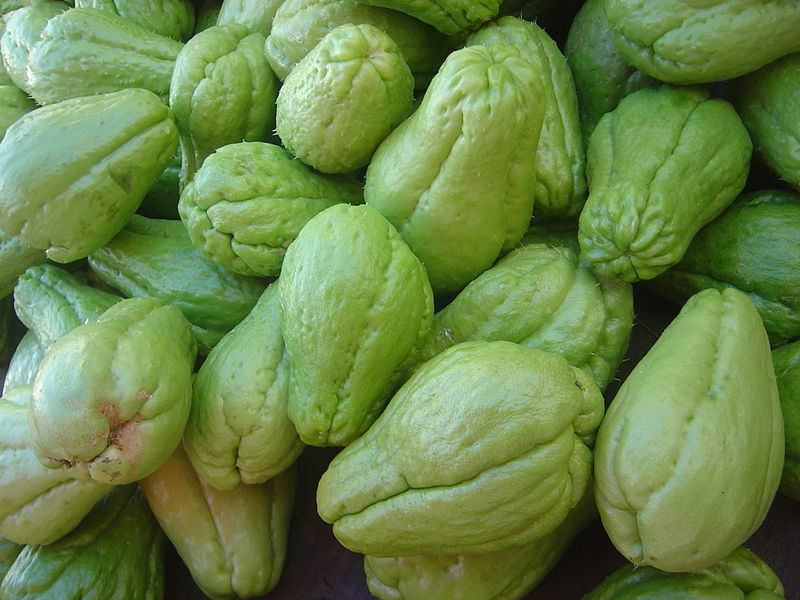 What is the funkiest thing you’ve ever tasted? 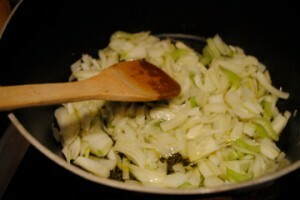 A mirepoix, which consists of onions, carrots and celery, is the core group of flavors that add balance to most savory French dishes. I’m heading off for a three-and-a-half week vacation to France, Berlin and Amsterdam, so last night, my dad prepared a French-themed dinner to prep our palettes for our upcoming PEREGRINATION. 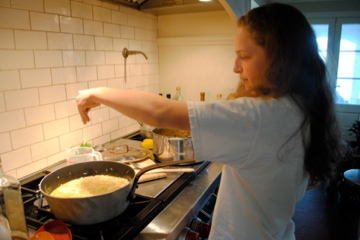 He made a delicious, broiled Icelandic salmon accompanied by a white sauce and vegetables. 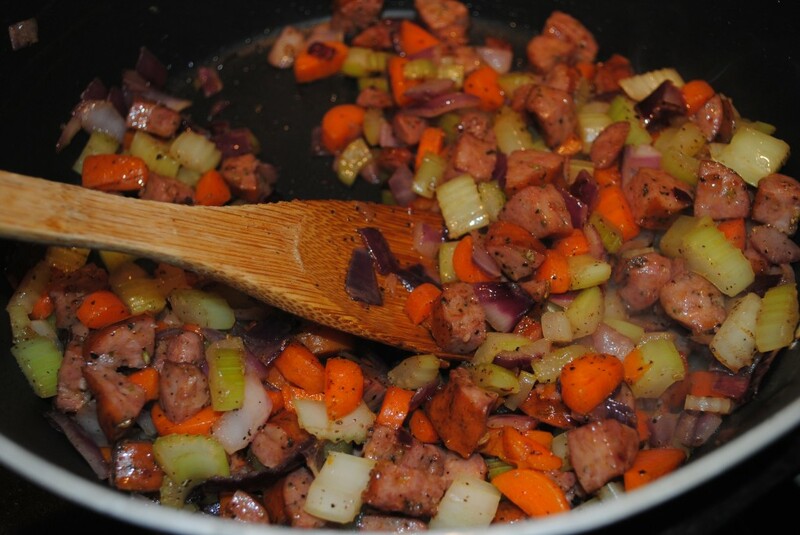 To bring out the French flavors, he sautéed a core group of flavors: celery, carrots and white onions, known as a “mirepoix,” and he built the dish from there. 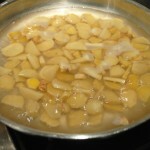 These ingredients are the holy trinity in French cuisine, because they combine perfectly together, INFUSE savory foods with flavor and add balance to soups, stocks, stews, meats and just about anything. 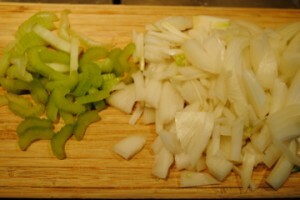 Instead of using white onions, my dad OPTED for red and also added fennel and French sausage. Let’s just say that last night’s dinner got me so excited for France and the wonderful food that it has to offer! Stay tuned for upcoming blogs and updates about my adventures exploring Europe. 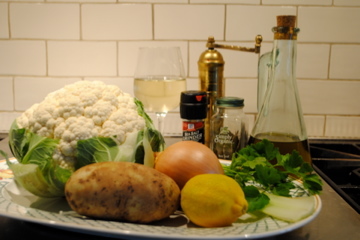 One of my favorite scenes from one of my favorite "foodie" movies, Julie and Julia. 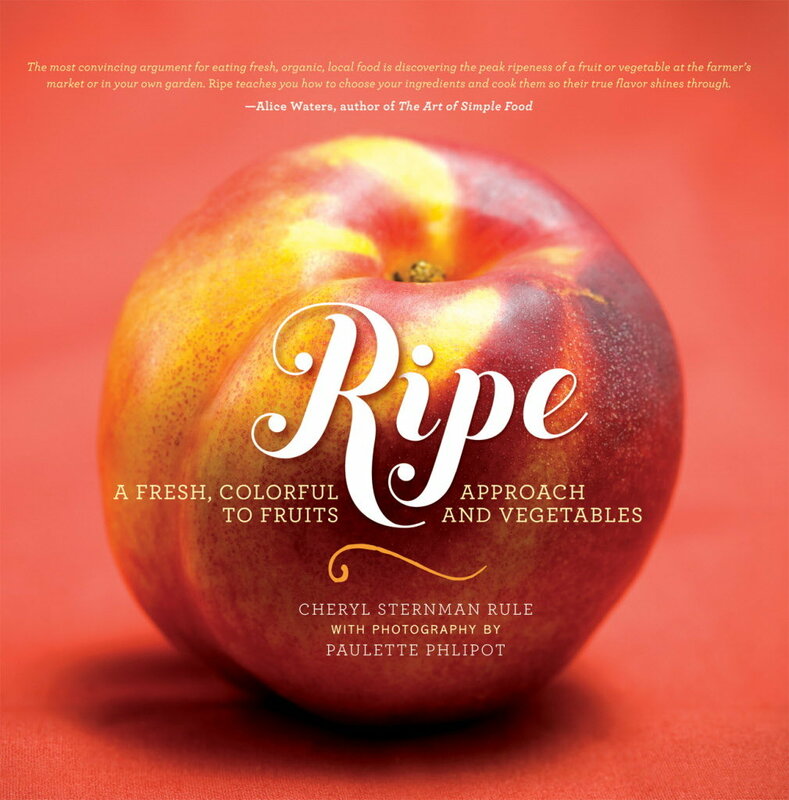 Inspiration for recipes can come from anywhere, including movies, books, TV shows and life. 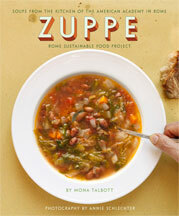 While I was home 2 weeks ago, I watched Julie and Julia, a movie based off of a book by the same name. 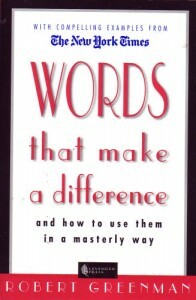 Julie cooked her way through the cookbook, Mastering The Art Of French Cooking, written by the most SPRIGHTLY of chefs, Julia Child. 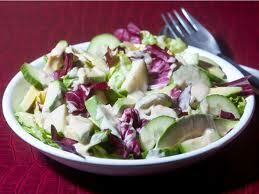 (You probably figured out that this idea influenced Cook Your Way Through The S.A.T.) 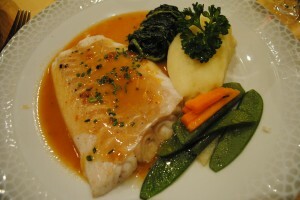 In one of my favorite scenes in the movie, Julia is served a sizzling fillet of Dover sole, which sparks her obsession with French food. 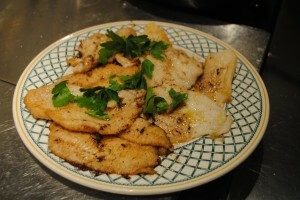 I couldn’t help but want to make some wonderful Sole Meuniere for me and my family to enjoy. 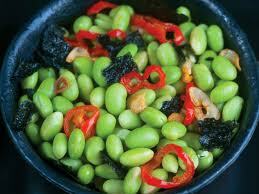 I followed Ina Garten’s recipe with a few of my own SLIGHT ALTERATIONS. 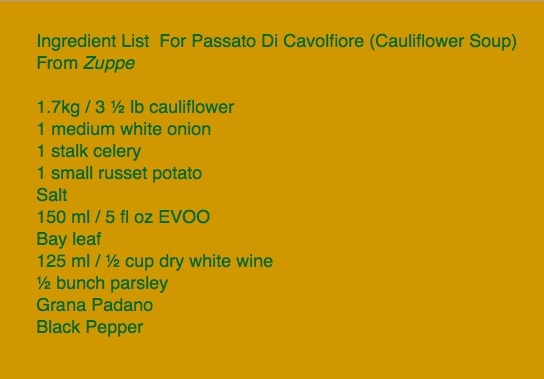 Ingredients: 1/2 cup flour, 4 sole fillets (3 to 4 ounces each,) 6 tbsp unsalted butter, 1 tsp lemon zest, 6 tbsp freshly squeezed lemon juice (about 3 lemons,) 1 tbsp freshly minced parsley, salt and pepper. Preheat the oven to 200ºF. 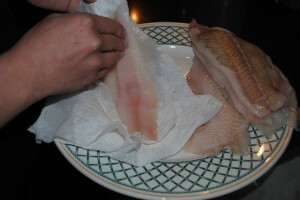 Pat dry the sole fillets with paper towels. 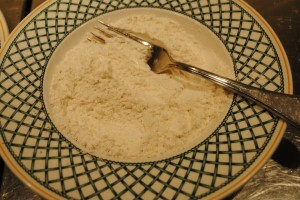 In a bowl, mix together the flour, 2 tsp salt, and 1 tsp pepper. 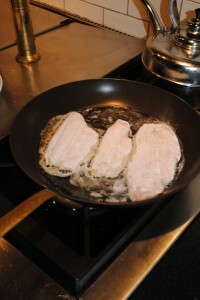 Sprinkle the sole fillets with the flour mixture and add extra salt to one side of each fish fillet. 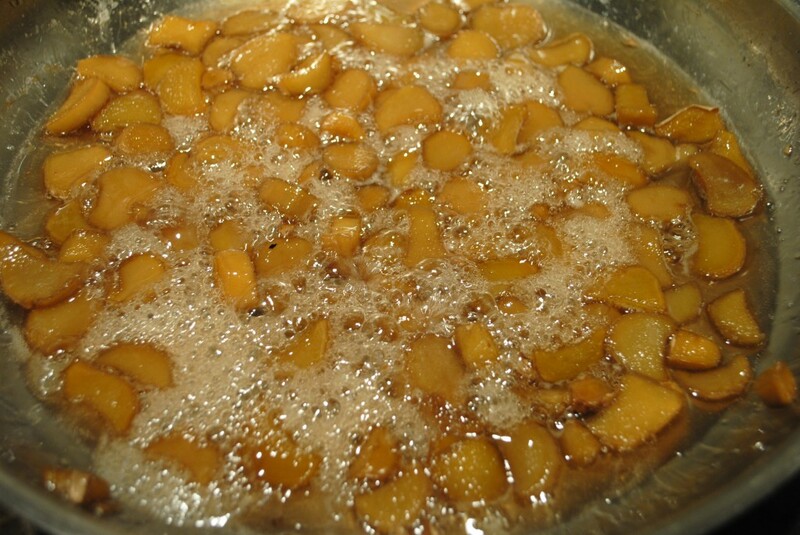 In a 12" pan, heat 3 tbsp butter over medium heat until melted and slightly browned. Place 2 sole fillets in the pan (I put 3 fillets in...whoops.) 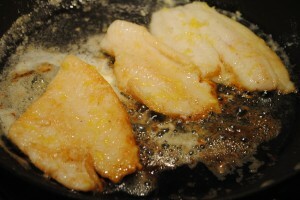 Lower the heat to medium-low and cook the fillets for about 2 minutes on each side. 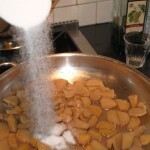 While the second side cooks, add 1/2 tsp lemon zest and 2 tbsp lemon juice to the pan. Once cooked, transfer the fish to an ovenproof plate and drizzle the sauce over them. Keep in the oven while you cook the rest of the fish. 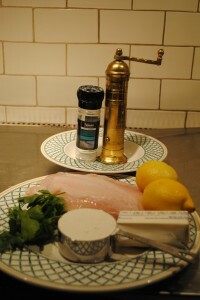 Add minced parsley to the cooked fish and serve immediately! 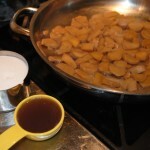 Julia Child would be proud. 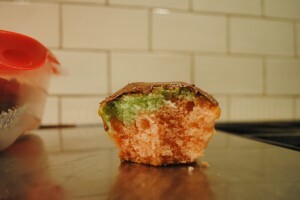 Adding food coloring to cupcake batter makes these sweet treats even more intriguing! 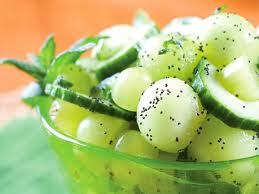 Summer is almost here! As a way of USHERING in my favorite season, I decided to experiment with simple cupcake batter in attempt to create tie-dye cupcakes. Of course, homemade cupcake batter and frosting are a better choice than the store-bought versions I OPTED for, if you’re not pressed for time. Either way, have fun mixing colors and letting your inner-kid come out! They scream 70’s and all hippies will surely RESONATE with their psychedelic flare. 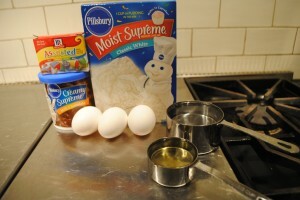 Ingredients: 1 package store-bought cake mix and the ingredients that it calls for on the back of the box, frosting, and an assortment of food coloring. Preheat oven according to instructions on back of box. Mix together all of the ingredients. 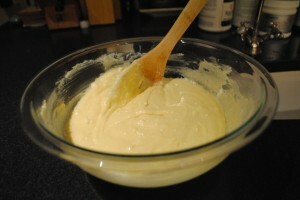 Evenly distribute the cupcake batter into bowls. 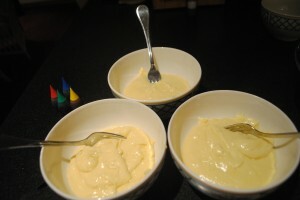 I decided to divide the batter into three bowls so I could have three different colors, but you can use however many or little as you want. The fun part! 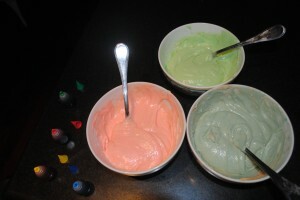 Add food coloring to each of the bowls of cupcake batter. This really tests your knowledge of color mixing! 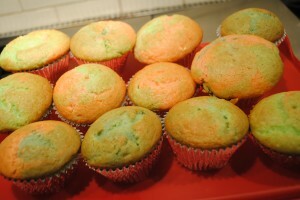 After placing cupcake tins into muffin holders, pour the different colored batter over each other. 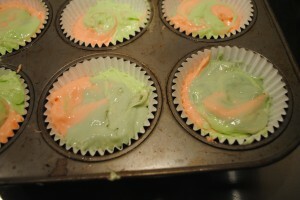 Do not mix the colored-batter together! Bake the cupcakes for the time instructed at the back of the cupcake-mix box. 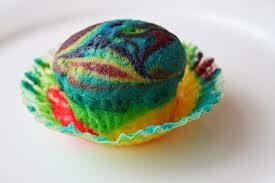 I chose the keep my colors light and subdued, but feel free to create bright and psychedelic cupcakes! After frosting your cupcakes to your liking, enjoy! 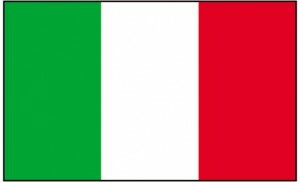 This Italian recipe is inspired by the colors of the Italian flag. Tomatoes are the red component, mozzarella cheese is the white, and basil is the green. 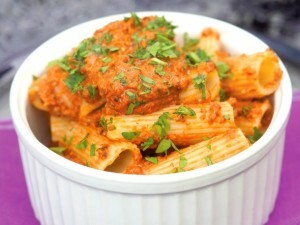 I chose red pepper flakes instead of basil to give this recipe some spice! 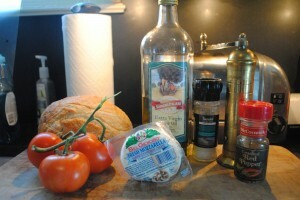 Ingredients: 2-3 tomatoes, 1/2 sourdough loaf, 8 oz mozzarella cheese, 1 tbsp olive oil, 1 tsp crushed red pepper flakes, freshly ground salt and pepper. 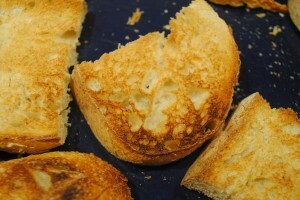 Slice the bread into 3 pieces and broil on each side for 2 minutes, or until lightly golden-brown. 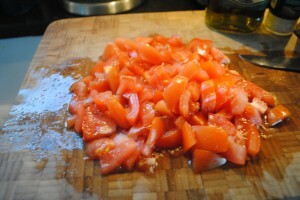 Chop the tomatoes into 3/4" chunks. 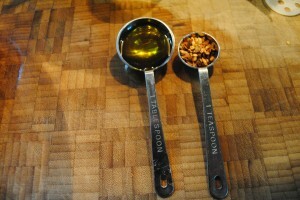 Measure the olive oil and red pepper flakes. 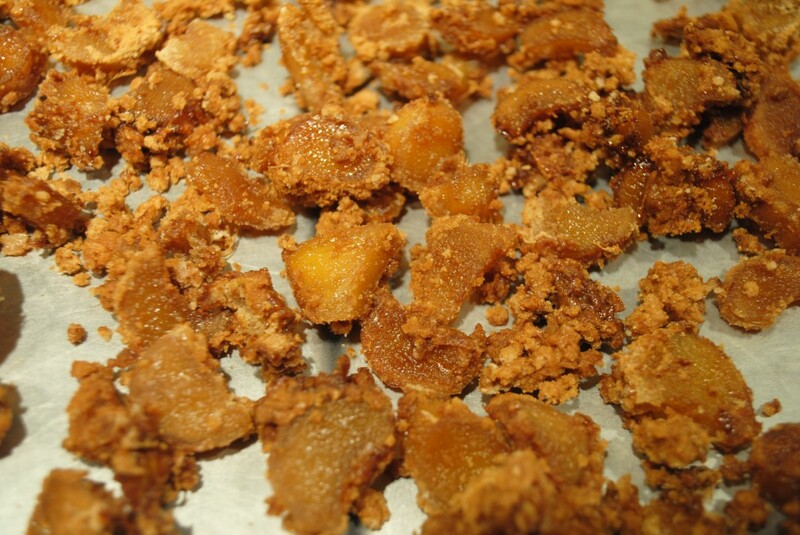 If you don't like spicy food, don't use the flakes or use less of them. 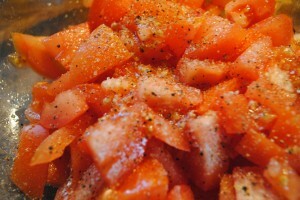 In a bowl, mix together the tomatoes, olive oil, a pinch of salt and pepper and red pepper flakes. 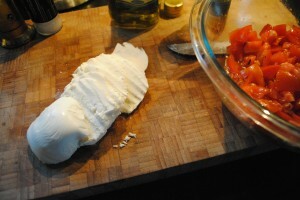 Slice the mozzarella cheese into thin rounds. 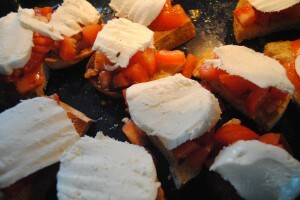 To prepare the bruschetta, place the bread on a sheet pan, top with the tomato mixture and finish off with slices of cheese. 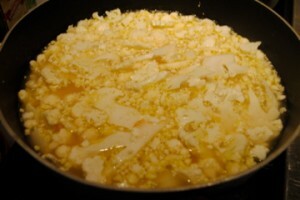 Broil for about 3 minutes, or until the cheese is melted. The delicious finished product. Oh so Italian! As an all-things-Italian lover, AKA Italophile, my entire family, AKA the Freiman-Mendel CLAN, is ACCUSTOMED to eating dishes I prepare containing basil, tomatoes and bread. 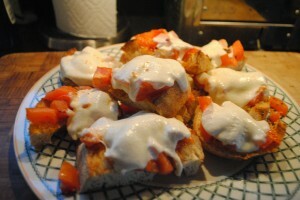 Spicy Margarita Bruschetta is an AMALGAMATION of these three basic Italian tastes, with just one revision: I replaced the basil with red pepper flakes to add a spicy kick!